While drug laws in Oklahoma are not as draconian as they were in the past, punishments are still severe. Facing drug charges can be daunting. Law enforcement can interpret evidence from the crime scene in a number of ways to make simple possession much more complicated. For this reason it is important to reach out to an experienced drug crimes attorney as soon as possible. Let's take a look at a few of the more common charges. In Oklahoma, a conviction for possession with intent to distribute carries heavy prison terms. Moreover, the phrase “with intent to distribute” can be very misleading: a Defendant does not need to actually intend to distribute the CDS if there is enough weight found to infer that the Defendant intends to distribute the substance. This is based on a legal fallacy that anything more than “personal use” could only reasonably be for the purpose of distribution. Furthermore, Defendants found with a CDS along with scales, bags, twisty-ties, multiple containers of a substance, or packaging supplies can face possible liability for possession with intent to distribute as well. This offense can result in a felony conviction and can carry lengthy prison terms. For more information contact one of our attorneys or see our related page for drug trafficking charges. It is important to also know the distinction between which controlled dangerous substances are "narcotics" and which ones are not. Some common narcotics are heroin, cocaine, crack, and LSD. Marijuana, meth, PCP, and mushrooms are NOT considered narcotics. This distinction is important, because it can determine the potential punishment range that one may face if charged. Possession with intent to distribute carries various punishment ranges depending on the schedule of the drug and the criminal history of the accused. For a first time possession with intent (PWI) regarding a schedule I or II drug (except for marijuana), one can expect to face zero to seven years in prison. A second conviction will result in a sentence of zero to fourteen years. A third or subsequent conviction for PWI marijuana will result in a punishment range of zero to twenty years. The sever punishments associated with these crimes make it necessary to hire a skilled lawyer to ensure your rights are protected. For a first-time PWI regarding marijuana or a schedule III, IV, or V drug, the punishment range is zero to five years in prison. For a second offense, the potential sentence can be anywhere from zero to ten years. For a third or subsequent conviction of possession with intent to distribute marijuana or a schedule III, IV, or V drug, the punishment range is zero to fifteen years. Seeing as how the previous punishment ranges for PWI topped off at LIFE in prison, these new penalties will hopefully help with prison overcrowding issues. There has been quite a bit of change in Oklahoma's drug laws lately. In years past, depending on the Defendant’s prior record of drug-related convictions, unlawful possession of marijuana could be classified as either a felony or a misdemeanor. However, with Oklahoma's focus on prison reform, we have seen changes to our drug laws; specifically, these changes have greatly impacted simple possession of marijuana and other controlled dangerous substances. Now that the new laws have been implemented, simple possession of marijuana and any other controlled dangerous substance is always a misdemeanor offense. Second and subsequent cases of simple possession of ANY controlled dangerous substance are no longer enhanced to felony charges. With the legalization of medical marijuana, any person who possesses 1.5 ounces of marijuana or less, and who can state a medical condition (even when persons do not have medical marijuana licenses), will only face a misdemeanor conviction with no jail time and a maximum fine of $400.00. Obviously, possession of marijuana with a valid medical license is not a crime on the state level (there are arguments that it could still be a crime on the federal level, though). However, prosecutors are always looking for an opportunity to charge a case as a felony if possible. 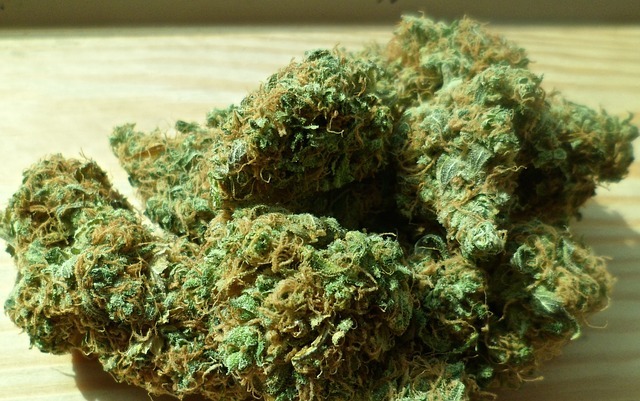 Even those individuals who possess less than 1.5 ounces of marijuana can potentially be charged with felony possession of marijuana with intent to distribute if there is enough circumstantial evidence to support the prosecution's claim that the individual intended to distribute the marijuana to others. These facts and others can be explained by an attorney familiar with such charges. Do not be fooled, however, as the state of Oklahoma generally has no qualms with considering even the smallest detectable amount of marijuana capable for personal use. This issue has been rectified to a certain degree by the implementation of "fine-only" penalties of simple possession of marijuana (so long as the person in possession can state a medical condition). Still, there are, and will continue to be, situations where law enforcement, frustrated by their failure to find a large quantity of the drug, issues a $400.00 citation to someone after a search of their vehicle reveals only "stems, seeds, or shake" instead of grams, ounces, or pounds. Individuals will be forced with deciding whether to fight the charge (and potentially spend much more than the maximum fine on an attorney) or simply accepting the fine and conviction. There is a common misconception that prosecutors will decide to charge someone with simple possession of a controlled dangerous substance, as opposed to possession with intent, simply based on the amount of marijuana that is found. This is only partly true. While the weight of marijuana found is a factor that goes into the prosecution's consideration as to whether or not someone possessed weed only for personal use, law enforcement look at other factors as well. Depending on the particular type of paraphernalia that is found along with the drugs themselves, the prosecution may allege the paraphernalia as circumstantial evidence that a Defendant meant to distribute the marijuana. This can also occur if the marijuana is found in separate containers. Drug laws have divided most of the “controlled dangerous substances” (CDS) our society is familiar with into “schedules” or categories based on the supposed addiction risk and potential medical use of each substance. If a Defendant is found to be in possession of one of the above-enumerated substances, he or she could face potential felony or misdemeanor liability depending on the amounts involved and other evidence found. Furthermore, a Defendant can be charged as having either ‘actual’ possession or ‘constructive’ possession, meaning the Defendant had control and dominion over the substance, even if it wasn’t necessarily on his or her person. Previously, possession of a CDS could be classified as either a felony or a misdemeanor depending on the Schedule of the drug, and the length of prison terms depends on the number of prior convictions. As noted above, that has changed. For marijuana, a first-time offender will only face a misdemeanor charge with a potential sentence of up to $400.00 in fines if the amount is less than 1.5 ounces and he or she can state a medical reason for possession. For all other scheduled CDS, an offender will face a misdemeanor charge with a maximum penalty of one (1) year in the county jail and a fine of up to $1000.00. If you have questions about a possession of CDS charge contact the attorneys of The Law Offices of Adam R. Banner. all equipment, products and materials of any kind which are used, intended for use, or fashioned specifically for use in planting, propagating, cultivating, growing, harvesting, manufacturing, compounding, converting, producing, processing, preparing, testing, analyzing, packaging, repackaging, storing, containing, concealing, injecting, ingesting, inhaling or otherwise introducing into the human body, a controlled dangerous substance. Consequently, almost any tangible article found in the presence of drugs can be argued as paraphernalia. A Defendant will almost certainly receive a charge of possession of paraphernalia any time he or she is found in possession of a controlled dangerous substance. Again, a lawyer can help make sure you are represented fairly when fighting these charges. Our state is notorious for filing felony charges for possession of proceeds derived from the sale of a controlled dangerous substance. In most situations, regardless of how much cash is found on a person when he or she is arrested for a drug-related crime, the prosecution will argue that any cash money recovered is circumstantial evidence that the funds were derived from the sale or purchase illegal substances. This is mainly due to Oklahoma's extremely harsh and unfair forfeiture laws. The prosecution and law enforcement know that they will receive portions of any funds that are confiscated and forfeited by the Defendant during the course of his or her criminal charges. These cases are very common during highway drug interdiction stops. As such, anyone charged with possession of proceeds can face losing even more money (unless he or she can show a valid source for the funds or that they were not used to purchase or sell a CDS) along with the felony consequences of spending between two to ten years in prison. An attorney can ensure that you are not charged where law enforcement performed an illegal search. You can also face charges for stealing a controlled dangerous substance. Now, this does not mean that dealers can call the cops and press charges whenever someone has stolen their drugs or ripped them off on a deal. These charges are usually reserved for situations in which someone has stolen CDS from a pharmacy or other location. This is not to be confused with situations in which someone takes the controlled dangerous substance by force or fear. In those situations, a person can be charged with Obtaining CDS by Robbery, which is punishable by not less than five years in prison. In Oklahoma, Larceny of CDS can be punishable by up to ten years in prison. Another common charge that should be distinguished from Larceny of CDS is allegations that one has obtained a CDS by fraud, such as when drugs are obtained from a pharmacy by use of a forged prescription. Individuals can also face criminal charges simply for having a stolen prescription pad in their possession. Simply possessing a forged prescription is does not expose a Defendant to the same amount of liability he or she will face if the forged prescription is actually offered to the pharmacy in an attempt to obtain a controlled dangerous substance. An individual will face up to ten years in prison for a first-time offense of offering a forged prescription in an attempt to obtain a CDS. For a second offense, a Defendant can face between four to twenty years in prison. Just as important as the potential prison sentence though, a second offense for obtaining CDS by fraud is not eligible for a suspended or deferred sentence. This means you can't get any probation at all. If you or a loved one are facing drug charges in the State of Oklahoma, time is of the essence. You need a criminal defense lawyer who specializes in drug cases. Call the law firm of Adam R. Banner, P.C., and retain an accomplished attorney ready to fight for your rights. Call us today at (405) 778-4800 for a free consultation.